Want a crash course on virtual facilitation? Or better yet, want to facilitate in your pajamas? This is the recorded 90-min video of a webinar I taught through NOVA Scribes. For just about any activity you want to do in the room, there's a way to do it via phone or computer. This workshop has an emphasis on free tools that are available for virtual facilitation. Throughout the workshop, the NOVA Scribes and I played with our favorite tools for virtual facilitation. We covered lessons learned from facilitating remote groups. We used many familiar tools (like Google Docs) in new ways to facilitate group processes. And just for fun, played with some state-of-the-art tools, including digital scribing and virtual reality. When you choose to join an organization, you do so with the belief that you and the organization are in agreement. You agree on meeting each others’ needs. You agree on your salary and benefits. You agree on your roles and responsibilities towards each other. You agree on your commitments to each other. You both agree to give up some things in exchange for other things. You agree on your shared values and ways of doing things. You agree on norms and how you will behave towards one another. You agree on your shared purpose and vision. You agree on goals. You agree on what you are both trying to achieve. And you do so with the belief that together, you will produce more than what you put in individually. At least, that’s the hope. You hope that you are fully in agreement. You hope that you are NOT compromising important things in exchange for LESS important things. You hope that you are not sacrificing your values in exchange for a paycheck. You hope that you are not sacrificing your time with family in exchange for benefits. You hope you are not sacrificing your freedom for forty hours or more of being unfulfilled. You hope that you are not sacrificing your vision and purpose in exchange for a vision and purpose you do not believe in. When you compromise, you are half-in, half-out. You are not as engaged as you would be if you were in total agreement. And the differences between you and the organization will slowly magnify until those differences are all you can see. Maybe you shift. Your needs may shift. Your goals may shift. Your commitments may shift. Your values may shift. And you find yourself no longer in agreement with your organization. Maybe the organization shifts. Its needs may shift. Its goals may shift. Its commitments may shift. Its values may shift. Maybe you BOTH shift together. Your needs may shift together. Your goals may shift together. Your commitments may shift together. Your values may shift together. And you will find yourselves CHANGED, but still in agreement with each other. 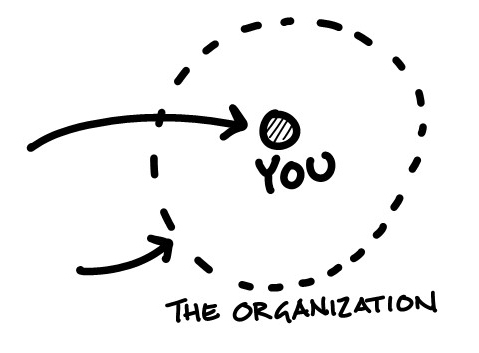 More often, a shift occurs, and either you or the organization chooses to ignore the shift. Because of inertia. Because of fear. Because of denial. Because of avoidance. Because of laziness. Because of complacency. Until at last, one of you can’t ignore the shift any longer. Facilitating an Energizer virtually can be a challenge. Technology can be disembodying. Phone calls don’t transmit body language. 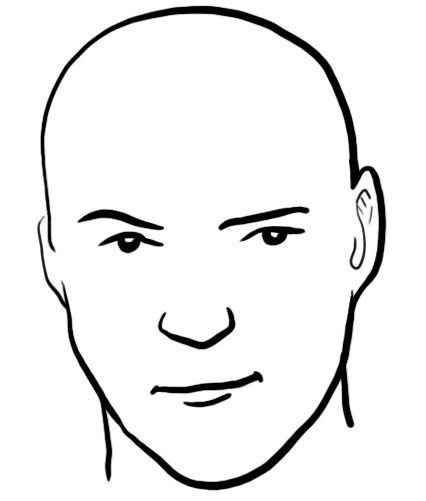 Even with cameras on, video calls or webconferences don’t convey all the nuances of facial expression. In a virtual facilitation, it can be hard to keep participants connected to their somatic selves: the side of people that is related to movement and body, as opposed to the mind or mental processes. Mirror the Mime is a kinetic Energizer that connects participants to their somatic selves. It was specifically designed for virtual facilitation by Lisa Jervis (www.iecology.org), Susan Jouard, and Mary Morand during a Facilitating Virtual Collaboration workshop. Let the group Mirror the Mime for a minute or so. Debrief Mirror the Mime by asking questions: who was leading? Who was following? Who did you watch? Why did you watch them? Did you shift to watching someone else? Why did you shift to watching someone else? How might this relate to the dynamics at work? What might this say about influence and authority? Mirror the Mime is a great Energizer to introduce at openings, when returning from breaks, and to bring focus and attention back to the group. Screen shot of the March 2019 cohort of Facilitating Virtual Collaboration practicing Mirror the Mime. Used with the permission of the participants. When I’m in a rush and skip warming up, the first few images on the chart suffer. It’s a good idea to grab a flipchart and practice a few throw lines, circles, and letters before going to the big chart. It’s also a good idea to do some finger stretches to warm up your hand. Make as tight a fist as you can and squeeze hard for a few seconds. Release and shake your hand loosely. Repeat. Open your palm and curl your finger tips. Tense your fingers and palm, like you were going to do a karate chop. Hold it for a few seconds, then release and shake your hand loosely. Repeat. Open your fingers and palm wide, spreading your fingers as wide as you can. Hold it for a few seconds, then release and shake your hand loosely. Repeat. You can also do combinations. Go in and out, from a tight fist to a tiger’s paw to spread wide, then back to a tiger’s paw to a tight fist. Repeat a few times. Learn, Do, Thank is an appreciative activity to close an event. Ask participants briefly share one thing they learned, one thing that they’ll do differently as a result of what they learned, and one thing they would like to thank their group for. Verbalizing a learning makes it less likely to be forgotten. Stating one thing to do in front of the group increases personal accountability and the chances that it will get done. Thanking the group shows appreciation and closes on a positive note. Allow about 30 seconds per participant. Last week, I was facilitating an offsite for a technology division of a federal agency. The purpose of the offsite was to welcome a new leader and “norm” as a group (following Tuckman’s Forming-Storming-Norming-Performing-Adjourning model.) The participants were there to talk about their values, operating principles, rhythms, roles and responsibilities, and most importantly, how they communicated and how communication had broken down in the past. This sparked a reflective conversation from the group. The principle that “everything fails at the interfaces” is a reminder to technologists to first look for failures at the seams where pieces of technology come together. The principle immediately resonated with me from my days as a builder: in construction: if there’s going to be a flaw, it won’t be in the middle of the wall, or the middle of the floor, or the middle of the ceiling. It will be where the pieces and parts come together. The principle of “Everything Fails at the Interfaces” became the guiding principle for the offsite. It encouraged the group to remember that, while individuals may be doing good work off on their own, challenges will occur when trying to operate as a team. By extension, individuals may be completely justified in their own head, but when it comes to interpreting the actions of others, the tendency is to react, to make up stories, to pass judgment, and to fall out of partnership. Groups intuitively know when something’s not working, but may not be able to put their finger on what exactly what’s broken. So they say things like, “We have a communications problem,” or “We need to prioritize,” or “We don’t know what the vision is,” or even, “That guy’s a jerk.” Chances are, what they’re actually experiencing is a failure at the interfaces between each other. 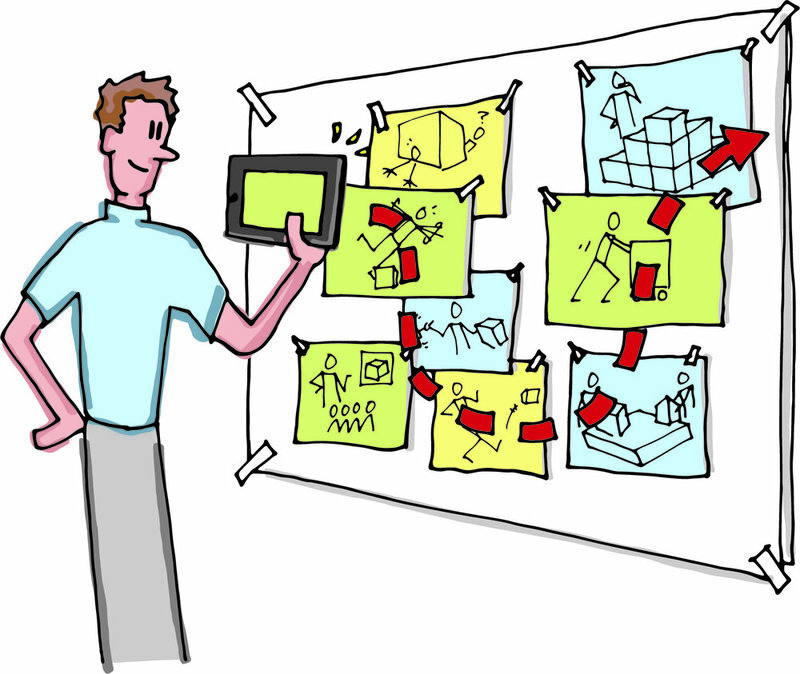 How do you explain graphic facilitation? Our work is visual, so it can be tough to describe it to anyone who hasn’t seen it. 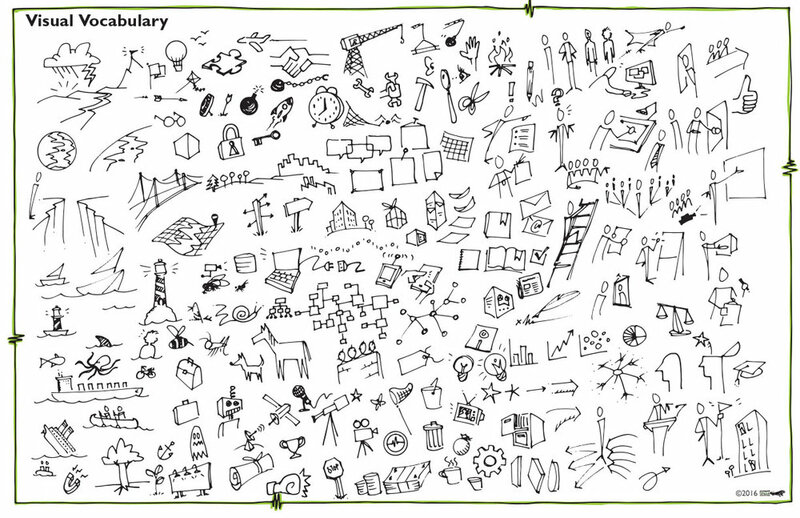 If I’m trying to describe it as part of a discovery meeting, I will ALWAYS pull up an image of graphic recording or graphic facilitation in context of a group meeting and speak to that. "It has three major benefits. First, studies show that it improves consensus in groups by 22%. Second, it improves retention by 17% just by having it in the room, but it also produces tangible takeaways. I'll scan the charts and email them back to you when we're done. Third, it actually speeds up meeting time by 24%, but usually this translates to being able to cover a lot more material." When I introduce graphic recording or graphic facilitation prior to a meeting, I typically add: "A couple of rules. First, I'm going to have my back to you. I'm not trying to be rude, I just can't draw over my shoulder. So I may not know who said what, or be able to remember names very well. Second, my markers don't come with spell check. If I get something wrong, just pass me a note or shout at me. Third, this is YOUR PAPER. If you have an idea that you want to sketch out, please jump up and use this paper. That's what it's here for. 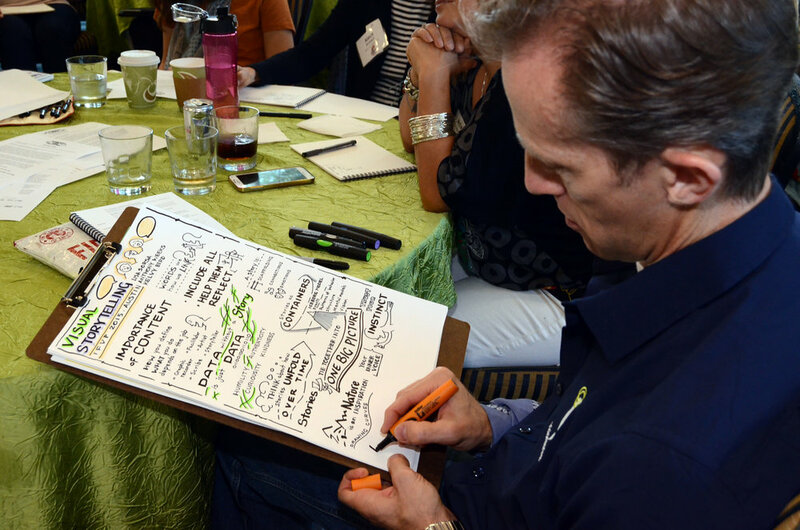 Often, when participants draw their ideas, that's what really moves the group. And that way, your ideas become part of the record." This video shares a workflow for preparing drawings for Sparkol’s VideoScribe, an application that produces whiteboard animations. We cover sketching and drawing in Photoshop, mapping paths in Illustrator, and animating in VideoScribe. Our discussion also includes techniques and time savers, setting expectations with clients, sharing the workload with colleagues, and balancing time and quality. Thanks to Wade Forbes for sharing his insights, asking excellent questions, and for his permission to share this video broadly. Here's a 3-minute energizer for participants to practice active listening, constructive dialogue, joining language, and improvisation. "Pair off. You and the person sitting next to you are about to take a vacation to Australia, and you're planning what you're going to do once you arrive. Have one person begin by suggesting something you both might do together. From there on out, the only constraint is that every following sentence must begin with the words, 'yes, and.' Continue suggesting ideas back and forth for the next three minutes." I first saw the Fake Australian Vacation facilitated by Robert Gibson of Volunteers of America in Dallas, Texas at the VOA National Conference in April 2017. In case you missed the blog post on Recognizing Cognitive Bias, a cognitive bias is a mental shortcut that can covertly influence decisions. We like to think that we make decisions analytically and impartially. In fact, most of our decision-making processes fly under the radar of our conscious awareness. Gaining awareness of theses biases is an important step to overcoming them. This gameboard lists 25 common cognitive biases and heuristics. Print a copy, and the next time you’re in a position to quietly observe a group discussion, check off which of the biases below you observe that may be at work. Just try to avoid shouting “bingo!” when you get five in a row. I was introduced to cognitive biases by UFMCS, the Army's Red Team School, and by Bryce Hoffman, author of Red Teaming. For more on cognitive biases, check out the chapter "The Psychology of Red Teaming" in the book Red Teaming by Bryce Hoffman. Content from Red Teaming appears on the Cognitive Bias Bingo gameboard, and is used with permission from Bryce Hoffman. A One Word Checkout is a light, fast activity to end an event and give participants one final word. ”Please describe in one word the mood in which you are leaving. Anyone can start. And if you kick us off, you get to pick right or left, and that’s the directions we’ll go around the room. Who would like to start?” Then, your role as facilitator is to track and indicate the next person to speak by an open hand, inviting, or eye contact. It doesn’t take long to go around a room of up to thirty or so participants. For groups larger than thirty, you can ask participants to go around their tables in parallel. Or, you can give all the participants a few seconds to think of a word, then ask everyone call out the word simultaneously. One Word Checkouts are one last opportunity for participants to empty their backpack. In addition, they provide real time feedback on the facilitation. A word of caution: don’t overinterpret the words you hear. “Tired” is a common checkout word, and may simply mean a participant has been using muscles to do group work that they’re not used to exercising, or that the introverts have had to spend time in extravert space, or vice versa. Words like “frustrated” or “upset” are an opportunity for a one-on-one check in after the event. You could use One Word Checkouts for something other than mood, such as, “Say one word to describe how the day went for you,” but I believe that’s pulling the punch of having participants intentionally focus on their own emotional self awareness. Even if the entire event has been process-focused and primarily in the head, shifting to focus on the heart is a healthy counter-balance. I first saw One Word Checkouts used by Elise Yanker of Collaborative Consulting Inc.
Cognitive biases influence how you think and what you decide, and it happens without you even knowing. They are part of your mental source code: the operating system that runs beneath the level of your own conscious thought and awareness. When you feel compelled to go along with the group's decision, that's bandwagon effect. When you believe others place the same value on the same things you do, that's endowment bias. When you pay more attention to people (or news sources) that you already agree with, that's confirmation bias. When you hear about disasters that befell others but believe it can't possibly happen to you, that's hindsight bias. When you draw conclusions based on your own outlook on the world, that's framing bias. 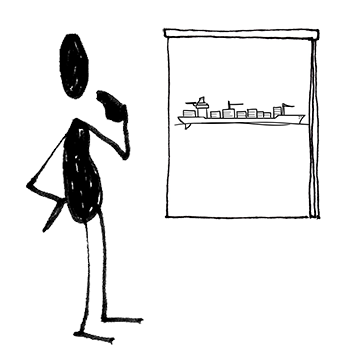 The phrase "a hammer looking for a nail," refers to framing bias. Here's an example of biases at work in a clip from the movie Spectral, available on Netflix. The story thus far: Clyne, a DARPA expert in optics, is brought into a hostile country to assess the mysterious death of a soldier during a peacekeeping mission. The death was captured on a hyperspectral camera that Clyne designed, but the image is unlike anything anyone has ever seen. Clyne is about to be shown the video by Fran, a CIA analyst, and the CO, General Orland. The video is all the information they have to go on, and they have to decide and what is happening and report on it. Watch the video below and see if YOU can identify which of these biases is at work. I was introduced to cognitive biases by UFMCS, the Army's Red Team School, and by Bryce Hoffman, author of Red Teaming. For more on cognitive biases, check out the chapter "The Psychology of Red Teaming" in the book Red Teaming by Bryce Hoffman, where he identifies twenty-five cognitive biases and heuristics. For more practice after you've identified the bias, try identifying which of Kantor's Four Players are at work on this worksheet. For more on the Four Player model, check out The Kantor Institute and Team Catapult. Trying to change an organization can be daunting. With all its mass and inertia, how do you move an entire organization? The rudders of some large ships are designed with little or no mechanical force behind them. No pneumatics, no motors, nothing that would physically swing the rudder from side to side. Instead, they have trim tabs: small control surfaces that direct the force of the ocean against the rudder, which then moves and turns the ship. In any organization, there are influential people who can be thought of as trim tabs. They aren't necessarily managers and supervisors, but they are definitely leaders in their own right. Rather than trying to move an entire organization, first find the trim tabs. The trim tabs in an organization are the Innovators and Early Adopters. For more on Innovators and Early Adopters, check out Simon Sinek's Start With Why and Chris McGoff's The Primes. I first heard the metaphor of trim tabs from Laurie Durnell of the Grove Consultants. Analyzing options and deciding between those options take place in different areas of the brain. Analysis is rational, logical, and language-based. Deciding is intuitive and driven by gut feeling. Creating a decision model is a way to blend both analysis and intuition. 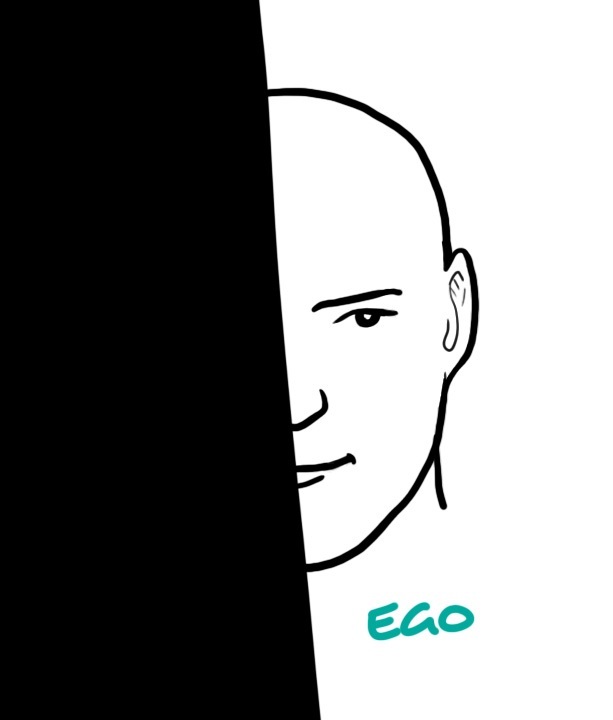 It pulls decision making out of the black box of intuition and into the plain view of the group. Begin by giving the decision model a title that labels its overall purpose. For example, the purpose may be to decide initiatives for a strategic plan, or where to focus R&D resources, or prioritize a backlog of change requests. Have participants list a dozen or so options, writing each one on a sticky note. Place these stickies on the left side of a whiteboard. Draw a series of diamonds from left to right across the whiteboard. Explain to participants that a decision model is like a vacuum cleaner with a series of filters. The goal is to create filters that are porous enough to let the right options pass through and dense enough to catch the less-desirable options. 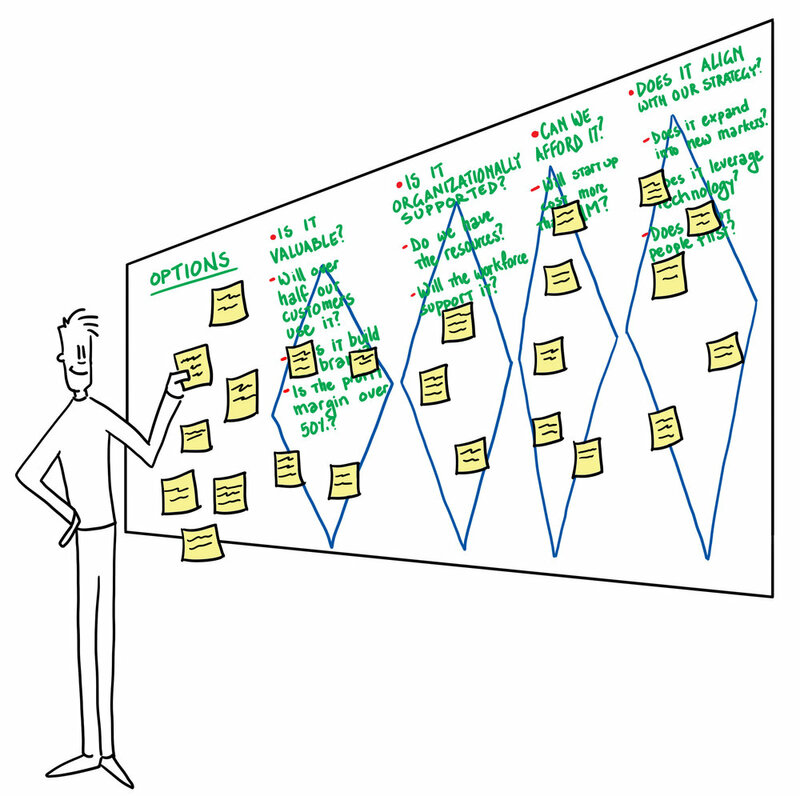 Ask participants to write two or three options that they clearly do NOT want to make it through the model to use to test the model and place them with the other options on the left of the whiteboard. Have participants brainstorm criteria for the decision model. Cluster similar criteria. For example, a group might say, “We need to make sure that what we do is valuable.” Write VALUE at the top of one of the diamonds. Ask the group how they might define value. “Customers are willing to pay for the service.” “At least half of our existing customer base will use it.” Write down those details underneath the word VALUE and in the diamond. Pick up a sticky and move it to the first filter. Ask, “Is this option VALUABLE?” quickly followed by “Are customers willing to pay for it?” Watch the reaction of the group. If it’s a unanimous yes, move on to the next question. If it’s a unanimous no, leave the sticky where it got “stuck” by the filter. If there’s disagreement, ask the group to refine the criteria. Do they need to define the amount customers are willing to pay? The object here is not to pass the options through the filters, but rather to refine the filters. Test the filters by using the two or three options clearly NOT wanted. Iterate on the decision criteria by passing different options through the filters. At first, the goal will be to create a baseline decision model, not make decisions. Over time and after several iterations, participants will become comfortable using the decision model for its intended purpose. One variation of this method is to give thought to the horizontal placement of filters against one large factor, such as placing “must do” criteria on the left and “nice to have” criteria on the right. This results in options being organized from left-to-right against that large factor. Is the option valuable? Is someone willing to pay for it? Will X number or percentage of our customers buy it? Is the option rare? Does it not already exist somewhere in the marketplace? Will it be difficult for a competitor to duplicate the option? Are we organized in a way that can execute the option? Does it help us achieve our vision, mission, or purpose? Does it align with our values? Does it align with our brand? Participants may resist the process of designing a decision model. This is usually because the model doesn’t pass their own “gut sense” intuition, or because the model will have outcomes that are not in their favor. In either case, participants must feel safe enough and have sufficient self-awareness to bring those reactions out into the room and make them explicit, which can shine a light on new aspects of the decision model. The first conversation with a potential client may be the most important. Your goal is to discover the client’s needs, identify any constraints, and suggest ideas for the approach to the event. To guide your discovery, use the mnemonic PLACES, Please! Click here to download PLACES, Please! as a high-rez PDF. Help design a ruler made just for sketchnoting! 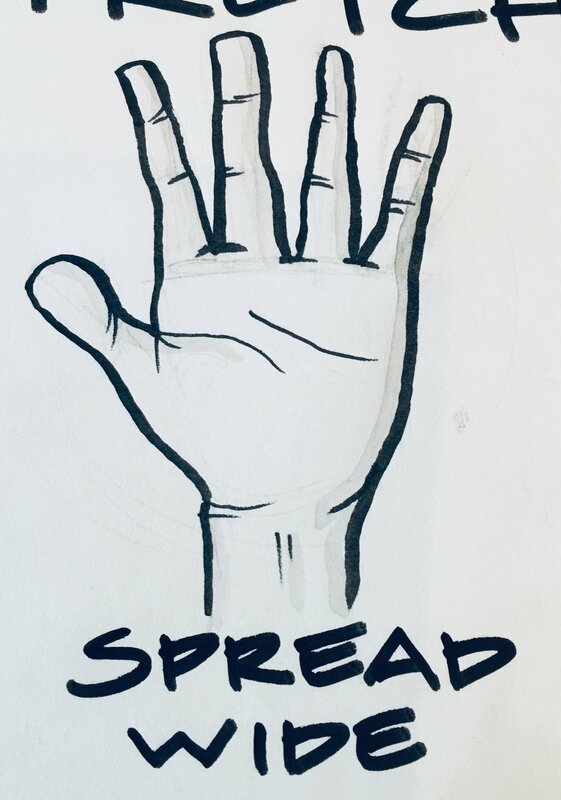 Quick disclaimer: this ISN'T purely a graphic facilitation method, so if that's the #1 reason you subscribed to Think With Ink, no need to read further. But, this IS a chance to practice design thinking, paper prototyping, and crowd-sourcing feedback, not to mention a chance to design a tool that you may end up using yourself. Want to be part of designing it? Here's how! Download this AI or PDF version of the ruler. Print and transfer it to chipboard, thick card stock, or even a file folder. I think the easiest way to do it is to print the ruler on a label, then stick the label on to something more rigid. Cut out the ruler and the finger pivot. Punch the holes along the center line with a pin. Except for the finger pivot, you don't have to cut out the other shapes unless you really want to. Try it out for a while! Provide your feedback on features on this Google Sheet. We'll post updates to the design and the project in the Google Sheet. We've seen more growth in demand for our virtual facilitation than for any other service we offer. Thanks to the Grove's Rachel Smith and her course, Facilitating Virtual Collaboration, Lizard Brain Solutions has been sought out to provide virtual facilitation nearly as much as in-the-room facilitation. A List of Virtual Facilitation Tools and Technologies. Sketchnoting is a great way to up your visual note-taking game and practice graphic recording in the small scale. 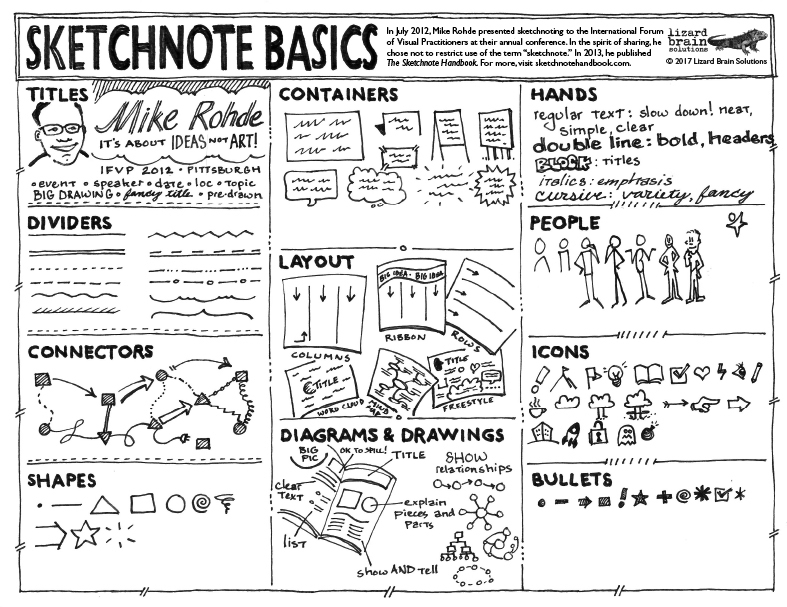 The definitive work on sketchnoting is The Sketchnote Handbook by Mike Rohde. Last year, Mike gave Lizard Brain Solutions permission to produce this one-pager on the basic elements of sketchnoting. Here's a high-resolution PDF version; please use and distribute it freely. To see examples and join the community of sketchnoters, check out sketchnotearmy.com. A microvideo is a short video to tell a story. With smart phones and tablets, nearly everyone has a movie studio at their fingertips. A three-minute-or-less microvideo that carries the same content as a slideshow, but surprises and engages viewers. More importantly, microvideos can communicate a large amount of information quickly, whereas slideshows can be interrupted by questions or comments that often would have been answered later in the presentation. Microvideos can help achieve a shared understanding more quickly than slideshows, providing more space and context for purposeful discussion afterwards. Explainer video on how to create microvideos. Microvideos are an easy visual method to communicate ideas. Both depend on telling a great story. And both depend on having a solid visual vocabulary. UPDATE: Here's the recorded video from a NOVA Scribes webinar teaching microvideos! With microvideos, you can tell stories, capture audiences, and let loose your inner Spielberg.